Ever imagine the way Jesus could’ve told his parables in Matthew? There’re more than one way to tell any parable or any cultural story in any culture because many possible scenarios could happen. This is my new book on Matthew’s parables and their impact in their time and ours by looking at other ways Jesus could’ve told such stories. Due to the fact that almost every story has a hinge in its plot, we can attempt to locate the hinge or hinges and then retell the story in some other ways. Interesting results will come. By doing so, we can see clearer what Jesus meant to address even within his own cultural value. In my usual manner, I will continue to interpret every parable within the greater context of the paragraph. Quite often, this is the missing element. People just do not read carefully enough when they do their Bible studies or even preaching before they start to spew what they think about the parable’s applicability or doctrine. As a result, many run into a wall very quickly. When writing this book, I have deliberately simplified it for the interested lay person as well as the busy pastor. A colleague remarked that he would wish for me to deal in a bit more detail on each parable the way Klyne Snodgrass did with his book. Trouble is 1) the book will become too thick and inundated with too many methodological details 2) a thick book may prove less accessible and more expensive to both the laity and the busy pastor. After all, not many pastors can figure out the implication of Matthew’s parallel with the Gospel of Thomas saying. If I went the way of Snodgrass whose work is still very excellent, I would not be able to demonstrate a simple method of reading parables. To me, in this information age, MORE information equals to NO information. At least, that’s what i’ve learned in preaching all over the world. Another work that I wish I had the chance to consult is Amy-Jill Levine’s Jewish reading of Jesus’ parables that has yet to be published. I will get myself a copy when it comes out. I have deliberately tried to stay sensitive towards two issues that also concerns Levine when I wrote my book 1) not to oversimplify my reading into a singular “what the Jews believed in the first-century” metanarrative 2) not to be insensitive to possible anti-Semitic reading of Jesus’ sayings. I hope I have succeeded. 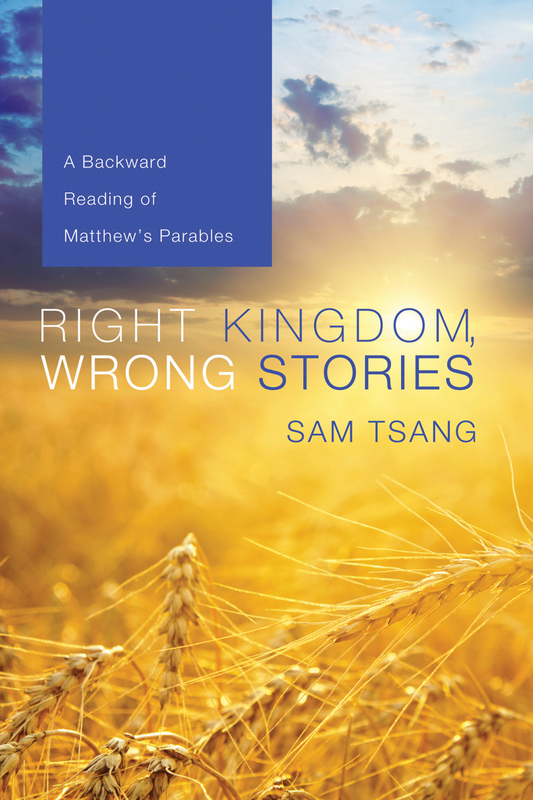 Full of surprises, this book retells the parables of Matthew from all sides and in all manners, even backwards. Lay and professional readers are sure to rediscover something fresh here. Highly recommended. I’m particularly thankful to both of these colleagues because of their Asian-American research in Bible and religion. I have written this book through my Asian-American experience as well as my overseas Asian experience because those experiences are often closer to those of the first century society than our often individualistic all-American society. These colleagues have been very supportive. So, I once again thank Sze-kar and Tim for taking the time out of their busy academic and pastoral schedule to write the recommendation. I hope you order it and enjoy its content. Feel free to contact me on my website here or my Facebook if you have any question or if I can serve your church or reading community in any way.